A man, Wayne Allen Huntsman, who took a video of himself surrounded by flames that erupted into one of the worst California wildfires of 2014 has been fined $60 million and sentenced to 20 years in prison after pleading guilty to arson on Friday, officials said. Huntsman who initially pleaded not guilty to setting the King Fire-which lasted for almost one month, changed his plea and admitted to three counts of arson to forest land with enhancements for causing injury to firefighters and destruction of property. 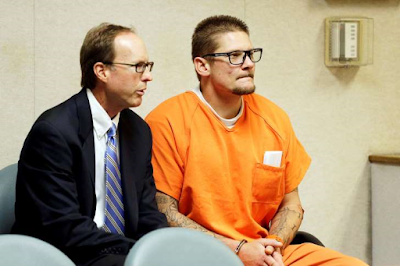 "I plead guilty because I did it," Huntsman told the court on Friday, according to assistant district attorney Dave Stevenson. The fire blackened nearly 100,000 acres, destroyed at least a dozen homes and displaced thousands of Northern California residents southwest of the Lake Tahoe resort area.